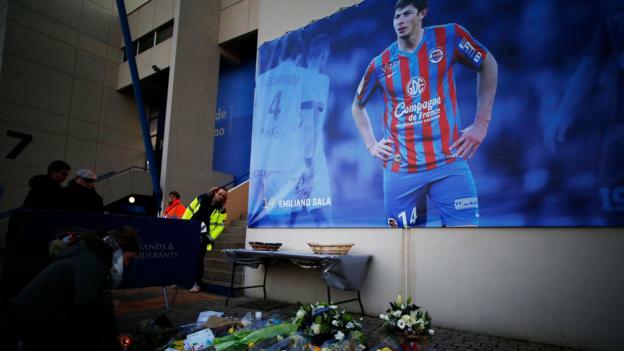 A minute’s applause was held 14th minute, Sala’s squad number at Caen. There was also a pre-match video tribute and commemorative programme. The striker spent the second half of the 2014-15 season on loan at Caen, scoring five goals in 13 appearances, before returning to parent club Nantes. Sala was flying from Nantes to join new side Cardiff City when his plane went missing over the English Channel on 21 January.